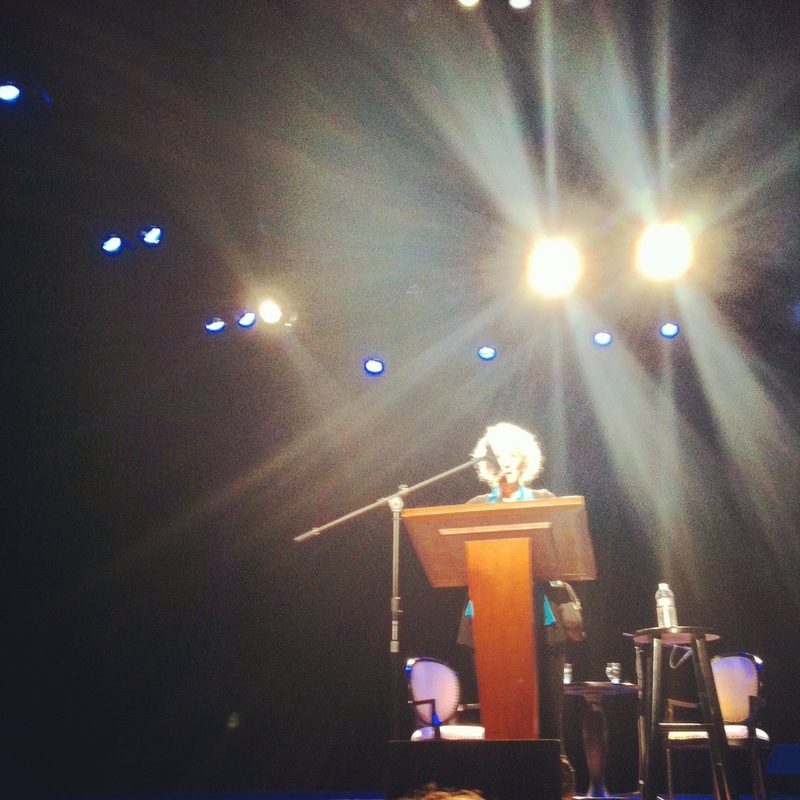 I went to see Margaret Atwood at the Music Hall is Portsmouth last night (which is a lovely theatre, by the way.) This is the second time I’ve seen her, the previous time was at a Nelson Institute thing in Madison. There was a much longer Q&A section this time, with a sit-down interview. Her novel, Blind Assassin, is one of my favorite books and really solidified for me what kind of literature I want to write. It’s often my go-to book when I’m trying to turn literary fiction fans onto scifi or vice-versa. I saw Margaret Atwood speak a couple years ago and someone asked her why she writes the kinds of stories she wrote. She said that she thought that writers write what they are (secretly, or not-so-secretly) afraid of. That illuminated something in my own writing and most of the writing that I love. I love trying to recreate complicated mental states in my readers, like the terror of being unable to trust your own mind. I love atypical neurologies, I love unreliable narrators. I love normal people lovingly rendered, faults and all, thrust into outrageous circumstances. One of Vonnegut’s rules of writing is that you must make awful things happen to your characters in order that the reader can see what they are made of. Between Vonnegut’s axiom and Atwood’s insight, the project of my stories finally made sense, the arc of my relationship to writing rendered visible. Atwood was pleasant and adorable, but I could tell she was much interested in eating the pastry in front of her than in my story. And that’s okay, those were some damned fine pastries.